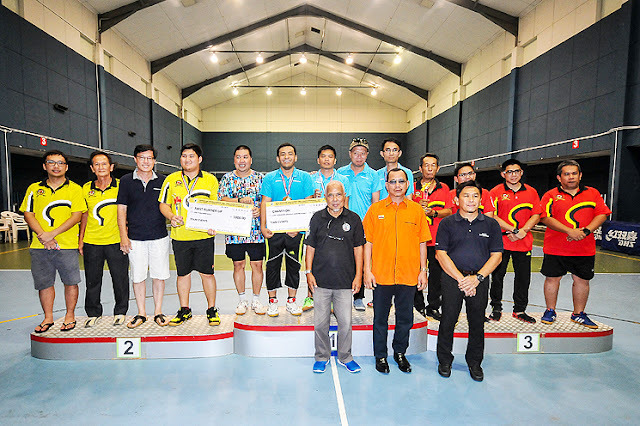 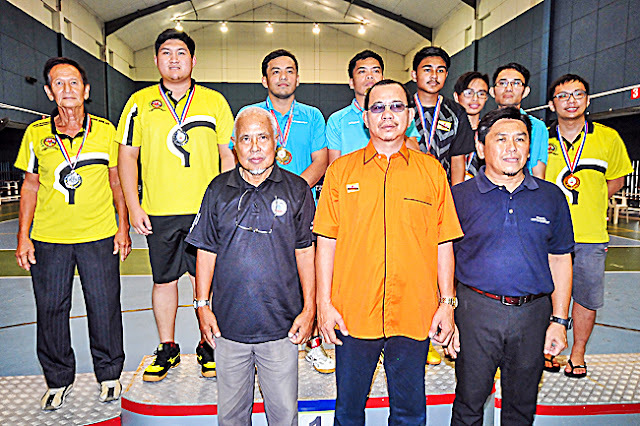 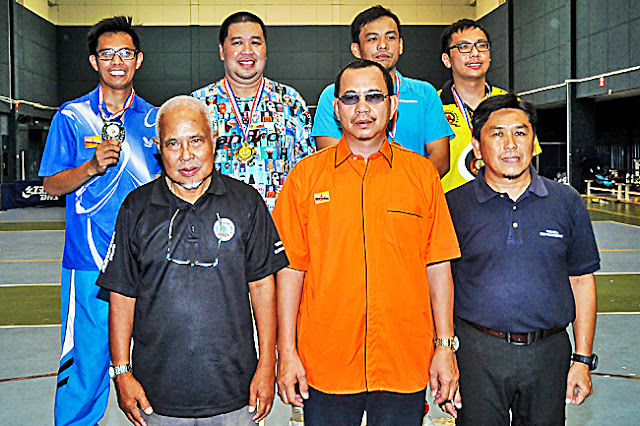 Appreciation from JBS for team BDTTA Sierra, Romeo & Tango's success at Borneo Table Tennis Championship, W P Labuan. 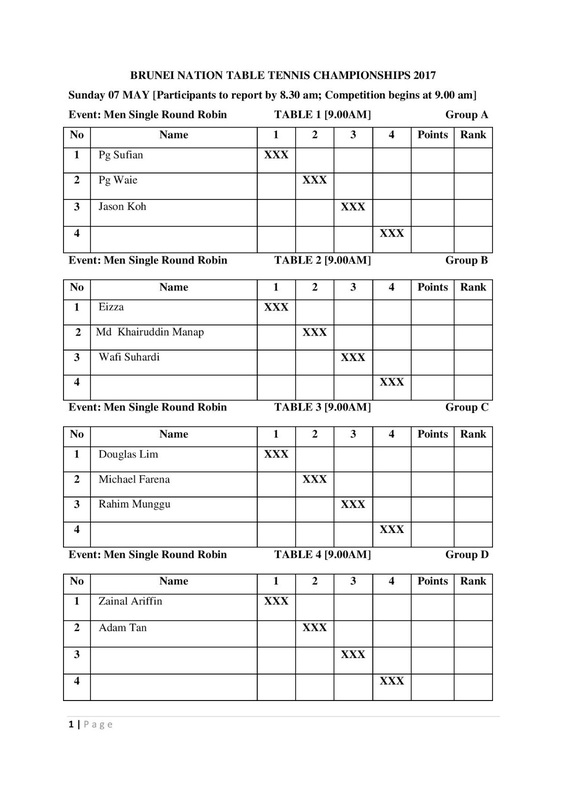 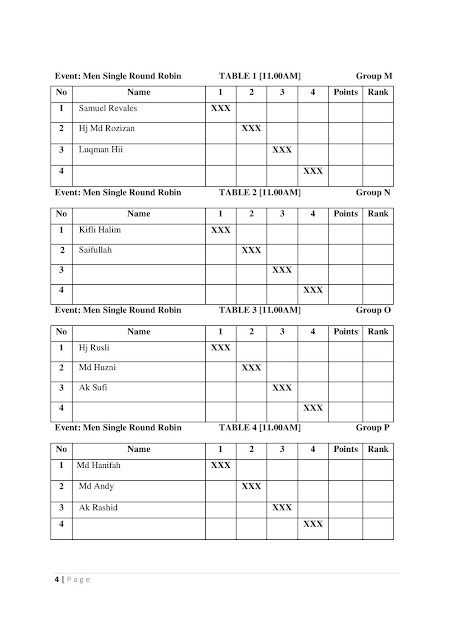 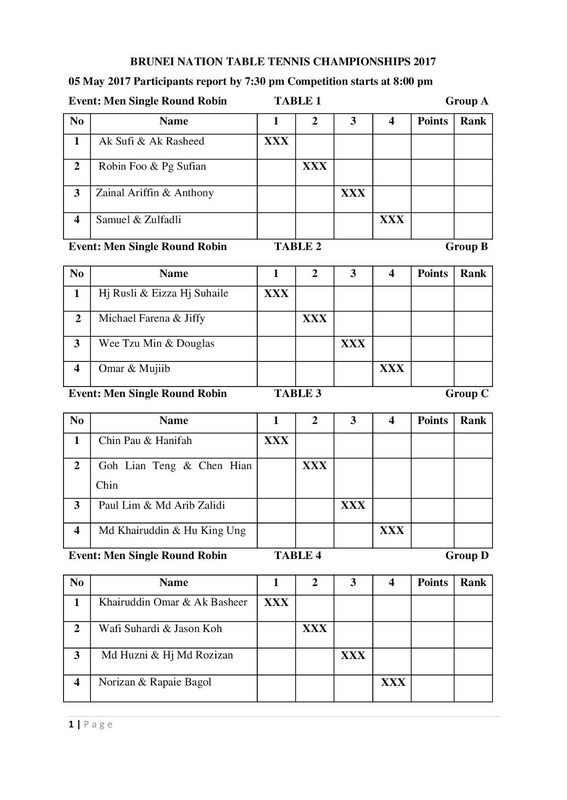 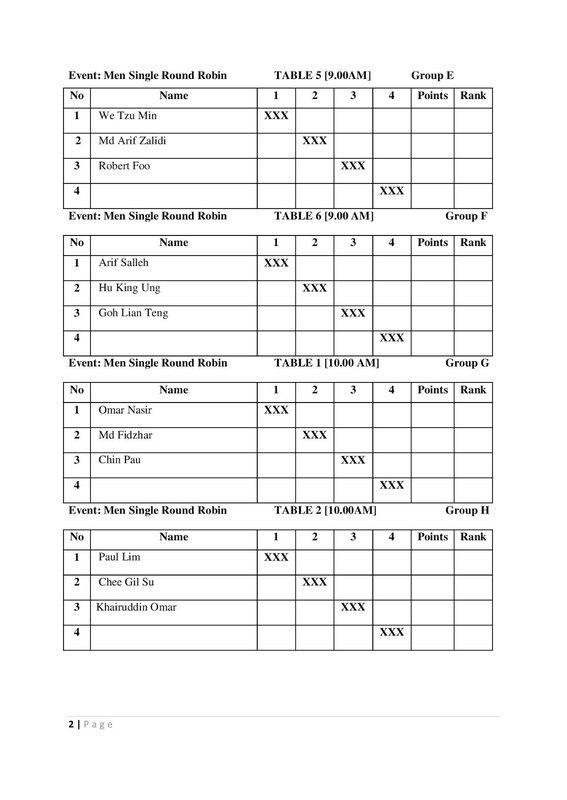 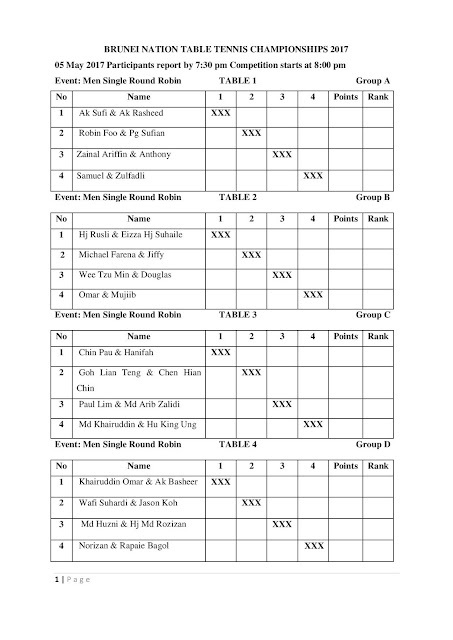 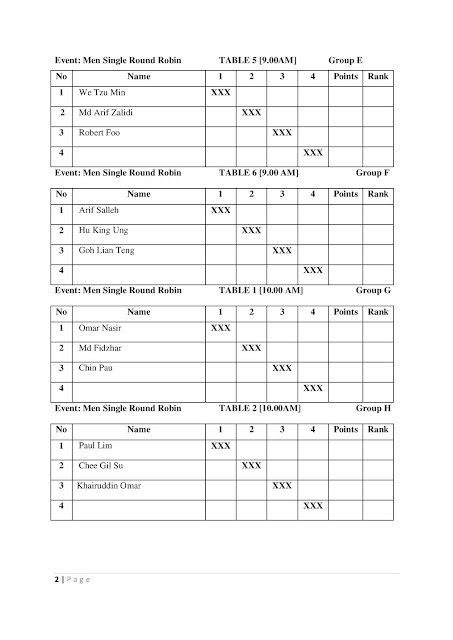 Men Singles Draw, Men Doubles Draw and Prospectus. 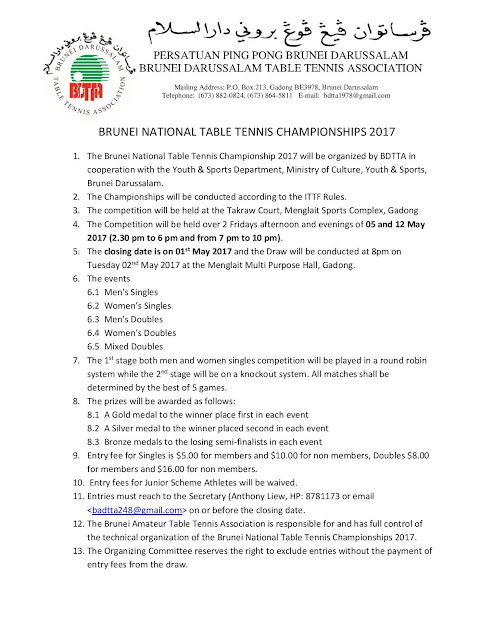 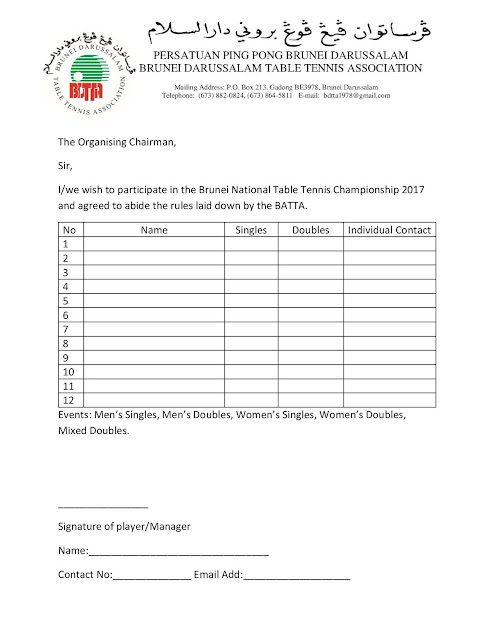 The registration fees are $2 for singles and $4 for doubles.